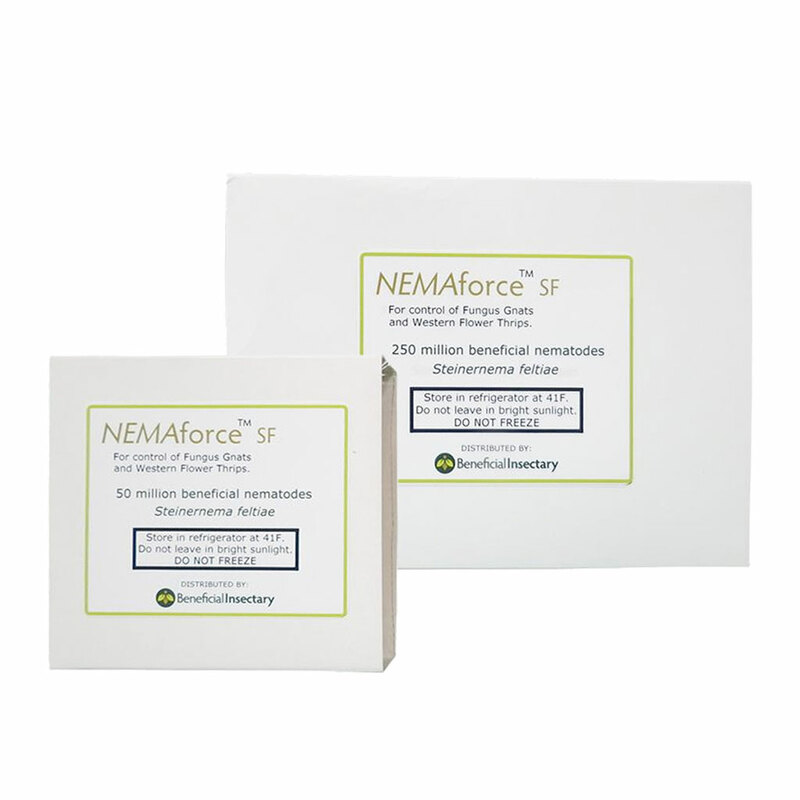 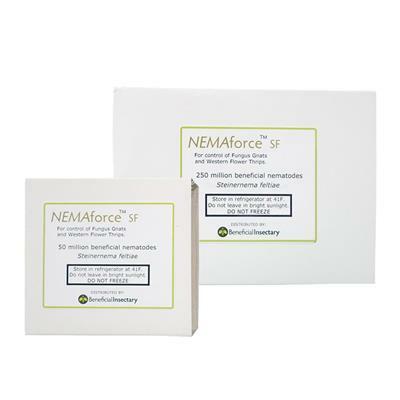 Nemaforce SF (Steinernema feltiae) are naturally-occurring parasitic nematodes that prevent and control larval stages of fungus gnats and the adult and pupal stages of western flower thrips (Frankliniella occidentalis). 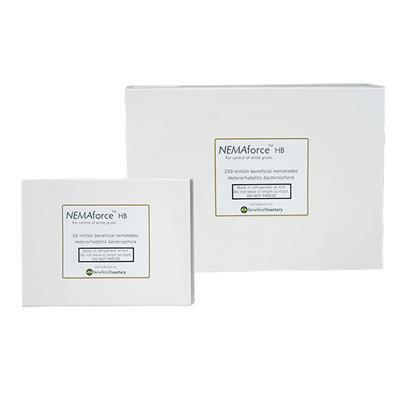 Released in their juvenile infective stage, they search out and enter insect pests. 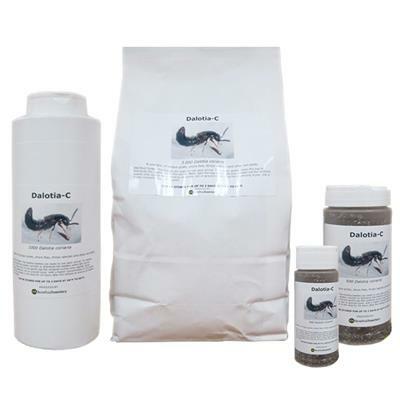 Once the nematodes have entered their prey, they release a symbiotic bacteria that quickly kills the targeted insects. 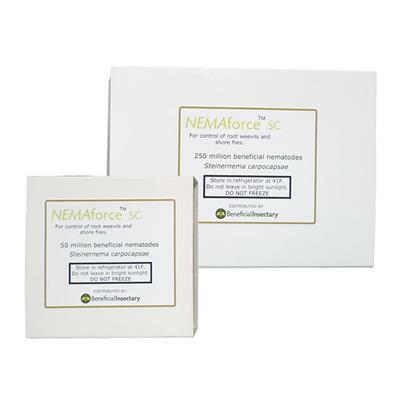 Nemaforce SF works quickly to control pest populations and are persistent in the soil, providing prolonged protection against pests.